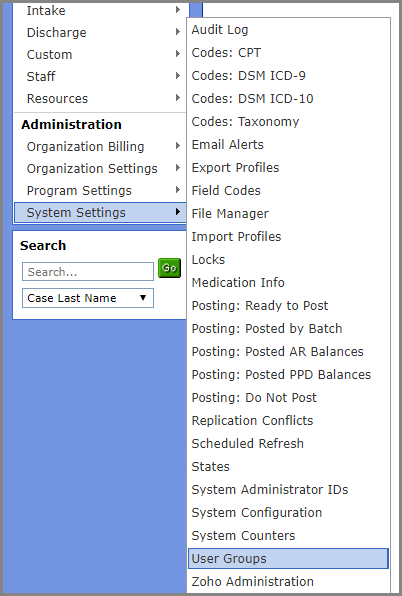 This article is meant to assist your agency with the extendedReach Side Menu Administration. 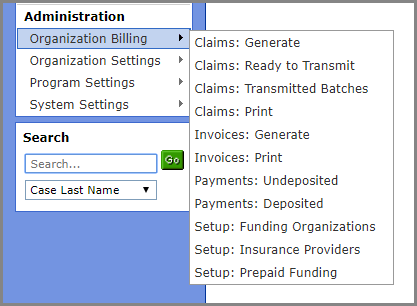 extendedReach is organized in a manner that allows you to easily access information with the Side Menu providing “Views” of comprehensive agency-wide data for users. 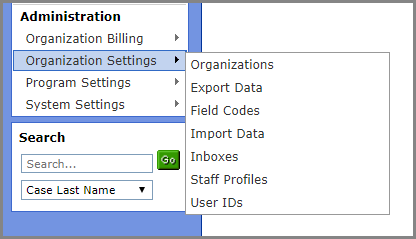 The “Views” in the Side Menu are configured through the Administration section of the Side Menu. 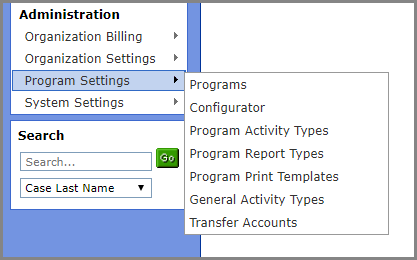 Go to “Administration” where you will find Organization Billing, Organization Settings, Program Settings, and System Settings.